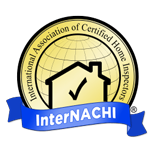 Adopted by AZ ASHI Effective January 1, 2002.
assistance of the Arizona Chapter of the American Society of Home Inspectors. understanding of the property conditions, as observed at the time of the inspection. monitor or evaluate by appropriate persons. or its components or be dangerous to the inspector or other persons. soil, snow, ice, or debris which obstructs access or visibility. carcinogens, noise, contaminants in soil, water, and air. is NOT required when probing would damage any finished surface. with respect to their effect on the condition of the building. when meeting reasonable resistance during closing. 5. foundation irrigation systems. 6. spas, except as to functional flow and functional drainage. and receptacles located inside the house, garage, and on its exterior walls. of the primary electrical distribution system. 4. chimneys, flues and vents. 5. solid fuel heating devices. dampers, insulation, air filters, registers, radiators, fan coil units, convectors. garage or another dwelling unit. such as boards or nails where many similar pieces make up the system. provided by the home inspector. measures, or any action which will likely involve risk to persons or property. component per room. For multiple identical exterior components, the inspection of one such component on each side of the building. blown, or a system that cannot be operated by the device or control that a home owner should normally use to operate it. whether masonry or factory built, fireplace inserts and stoves, woodstoves (room heaters), central furnaces, and combinations of these devices. installation or a change in adopted residential.